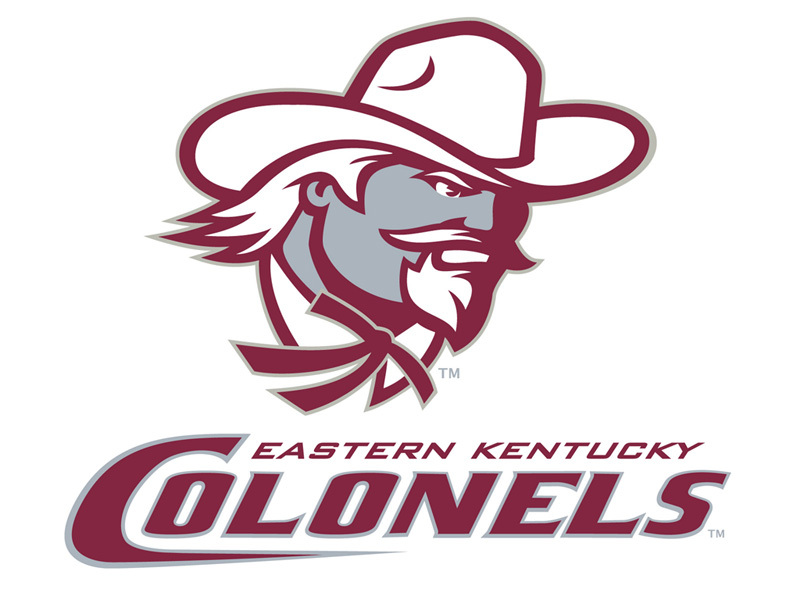 We continue our second lap in the “offseason position battle” series with a look at the vacant Eastern Kentucky University first base position. The departed — Senior first baseman Anthony Ottrando batted .335 with 17 home runs, 67 RBI and 47 runs score while starting 54 games for EKU in 2010. Ottrando led the team in home runs, RBI and doubles (15). For good measure he added 11 stolen bases in 13 attempts. Ottrando made seven erros on the season while posting a .986 fielding percentage. The slugger was honored as the second team All-OVC first baseman following the 2010 season. Ottrando started all but one game at first for EKU in 2010 with the other start going to freshman Kyle England, who is not listed on the current EKU roster. In August Ed Richter of the Middletown Journal in Ohio reported England and one other man had been indicted on charges of sexual battery after a 16-year-old girl accused them of assaulting her during a party at England’s home. Returning candidates — The only returning Colonel to appear in a game at first base in 2010 is junior Dustin Dunlop who played one game at the position. Dunlop spent most his time playing second base for the Colonels in 2010 and also appeared at third base during his freshman and sophomore years…Junior Jacob Daniel has served as the EKU designated hitter for the last two seasons but could conceivably move to first base if needed…Sophomore infielder Alex Hughes didn’t appear in a game during 2010 for EKU but at 6-4 he has the size to fill in at first base. Newcomers to watch — Freshman infielder Mitch Durbin signed with EKU as a corner infielder and left-handed power bat. In Nov. 2009 EKU head coach Jason Stein said “Following graduation and the draft of 2010, we will probably have two immediate needs and, as a left-handed bat with power and a corner infielder, Mitch fills both of them.”…At 6-2 and 6-0 respectively freshman infielders Alex Arovits and Dillon Pelfrey both also could fill in at first base. Wildcard — The only wildcard in the EKU first base battle appears to be a position change from one of the catchers or outfielders. Senior outfielder Bryce Labhart is listed as an OF/INF on the roster but played left field primarily in 2010 and came to EKU from Onley Central Junior College as a second baseman/outfielder. Sophomore outfielders Michael Buschmann and Jeff Emerich are likely reserves. Juniors A. J. Jamison and Brian Shrimpton are the returning catchers on the roster. The departed: Junior third baseman Jayson Langfels started ever game at third base for EKU in 2010 and batted .353 with 16 home runs, 52 RBI and 61 runs scored. Langfels has since moved on to professional baseball as the 16th round pick of the Colorado Rockies. Langfels’ 61 runs scored and .696 slugging percentage led the team and his 18 career triples are a Ohio Valley Conference record. Returning candidates: Rising junior infielder Dustin Dunlop was the only other Colonel to appear in a game at third base in 2010 after pinch running for Langfels against the University of the Cumberlands. Dunlop spent most of his time at second base in 2010 but did play some third base as a freshman in 2009. Rising senior Bryce Labhart, rising sophomore Alex Hughes, rising junior Richie Rodriguez and rising sophomore Matt Phipps are the other returning infielders on the roster. Rodriguez and Phipps ended 2010 as the starting shortstop and second baseman respectively. Newcomers to watch: Incoming freshmen infielders Bryan Solomon, Alex Arovits and Mitch Durbin each boasted strong performances during the EKU fall World Series. When Solomon signed with the Colonels head coach Jason Stein called him “a complete third baseman” who could hit for average and power while playing great defense with a “great arm.” Solomon may also pitch for the Colonels. Wildcard: The candidates for EKU’s vacant infield positions appear to be fairly straight forward, so don’t look for any surprises. Head coach Jason Stein could conceivably move one of the team’s surplus outfielders to the infield or rearrange incumbents Rodriguez, Phipps and Dunlop.